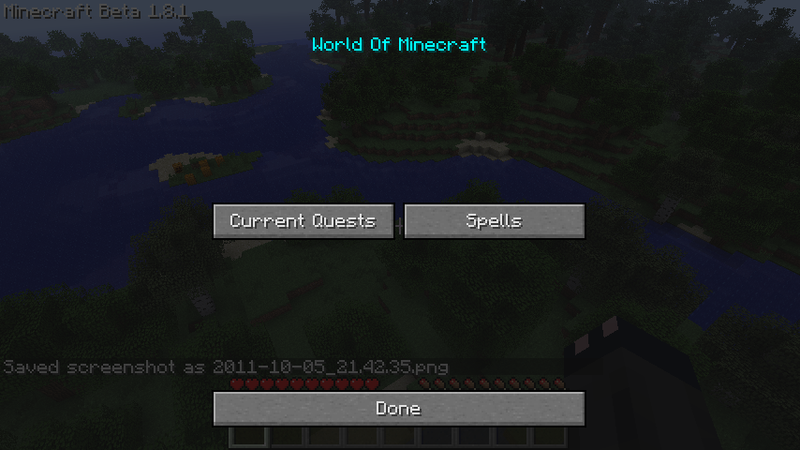 [1.8.1] World Of Minecraft !! A Mod made By Various Programmers ! The project Will take about 1-2 months to complete, & Will have updates like minecraft from then on. The video is fake, Meaning its edited.. & I did not make it. I found it online when i started getting bored of modding. & It inspired me to make this. Here's a Video of what This would be if it was based of a World of Warcraft game style. & I guess people Dont understand this yet, The mod isn't going to be A Minecraft Wow .. Its going to have Mostly everything in it. But we might change things here & there. 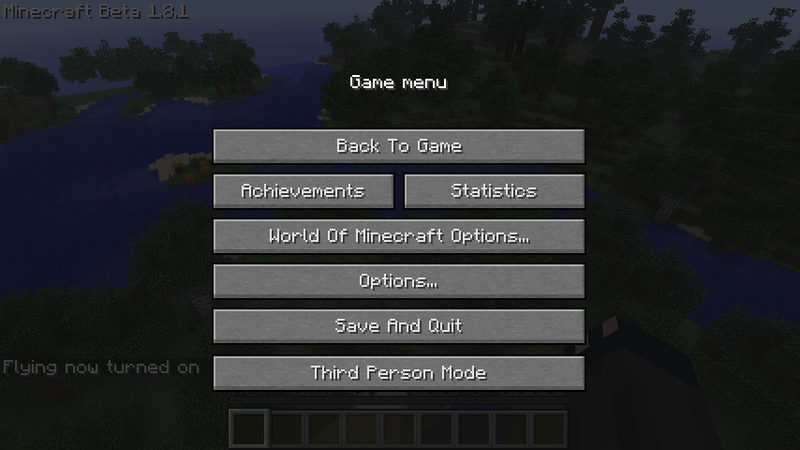 So The GUI Buttons, main menu.. In-game stuff... Will all be different thats why were calling it "World OF Minecraft". 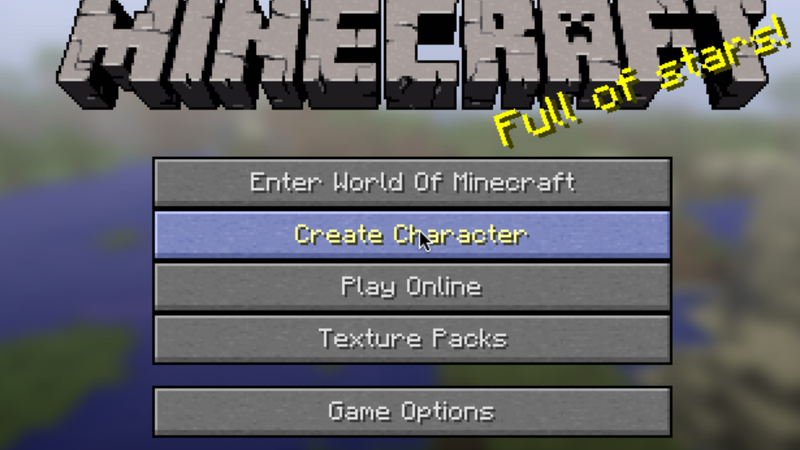 This Mod makes Minecraft More fun. - Quests, That npc's give out For you to do.. In return they might have something you will want. - Merchants, That Have set up stores & Have goods to sell you ! - When you right Click the NPC's they will either , "Talk, Open a GUI Screen, or Do nothing". - You can have companions ! - Multiplayer TOO , Explore the world with your friends, go on quests together & more !!! - We will also Add random quests & Npc's that Are rare & special to find! - In-game Third Person Button. - Making The Single player button enter the game right Away. - Making New Block.. Like more Giant Plants.. More realistic Tools, Blocks & vegetation etc..
i wish it will be done. shall i try make a banner? Location: In the eye's of a creeper. Everybody gets a bit bored sometimes, click the link to not be bored for a few hours. I need A Artist to make Banners & Profile pictures :3 Pm me if interested to help out. Click here to get free steam games! A Mod made By Various Modder's & Programmers ! Did my post help? Click the on my post. It's 110% optional Popcorn smelting, old removed feature, new mod. Game Engine = The way thing work. Minecraft Engine Example: When you jump, the way it feel. When you swim, how fast do you swim. etc. etc. Ya got it all wrong. A game engine is a system designed for the creation and development of video games. There are many game engines that are designed to work on video game consoles and personal computers. The core functionality typically provided by a game engine includes a rendering engine (“renderer”) for 2D or 3D graphics, a physics engine or collision detection (and collision response), sound, scripting, animation, artificial intelligence, networking, streaming, memory management, threading, localization support, and a scene graph. The process of game development is often economized, in large part, by reusing/adapting the same game engine to create different games. Pic? Pretty Please?? Pretty pretty please??? Pretty pretty please with sugar on top???? wth???? What do nazi zombies and world of warcraft have in common???? I am now sad to the fact that you said THAT video was fake, because that looked like it would ROCK the Aether and other mods.